This lace scarf was knit using the pattern Mini Mochi Easy Lace Scarf by Melanie Lewis. The yarn is Crystal Palace Yarns Mini Mochi. 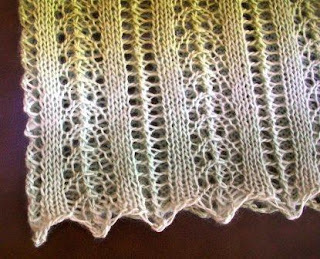 It is a simple pattern that produces a lovely scarf. 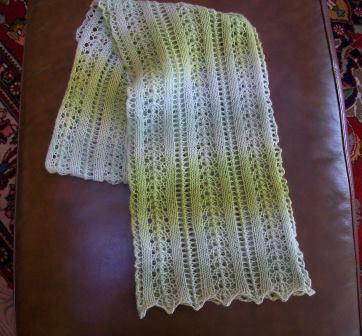 This scarf measures approx 10 in X 78 in. The first photo shows the color best.